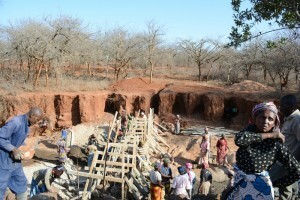 Because this sand dam is being constructed, a second project is made possible: the construction of a hand-dug shallow well at the same location. 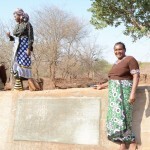 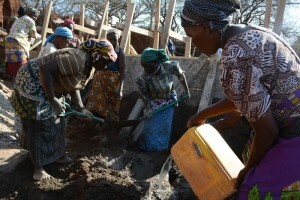 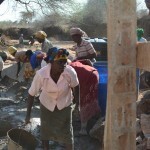 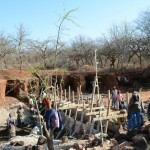 To see the shallow well project, click here. 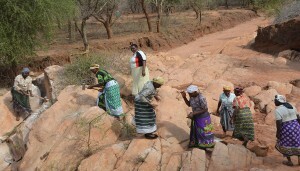 The group was formed in the year 2009. 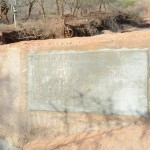 It has a membership of 62 members with 23 males and 39 females. 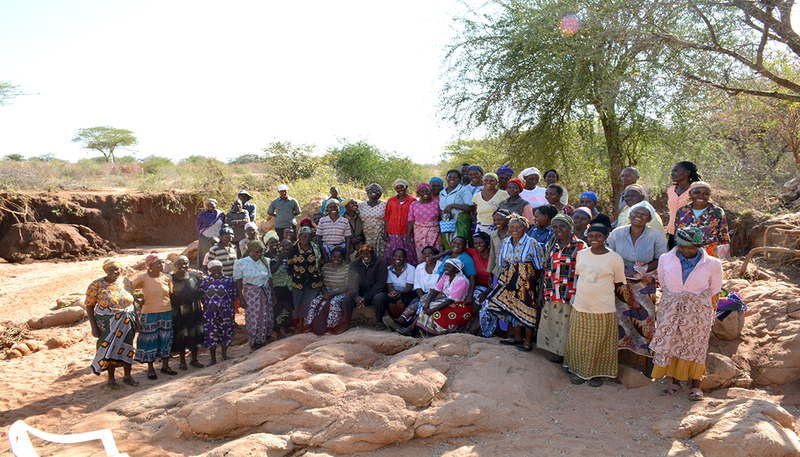 The average size of the household of the group is 6.4 members while the average age of the members is 49 years old. 21.67% of the households are female headed while 78.33 % of the households are male headed. 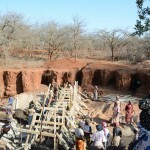 – Improving the water security of the area by construction of one sand dam and one shallow well to serve a population of 1685 people. This will help reduce the distance travelled and time taken to fetch water. 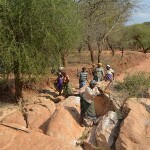 Materials for the construction of the dam were collected over a period of two months. 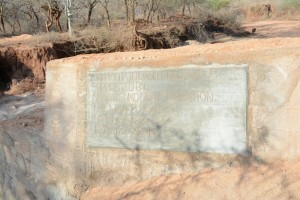 This included sand, cement, and rocks for use in the dam. 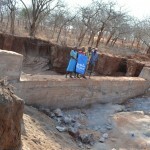 Fortunately, these materials were available near the site and could be readily acquired. 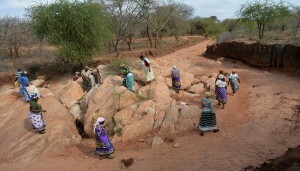 At some locations, communities have to hire delivery trucks to carry rocks from 5 or 8 kilometers away. During this time, a trench was dug across the dry river bed. 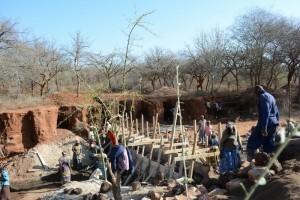 The trench has to reach stable bedrock so that the heavy dam has a secure foundation. 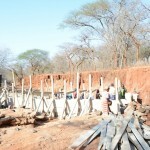 Following all of these preparations, actual construction began on the 7th of September and was completed on the 17th. Group participation was very encouraging with 68 people helping at different times. 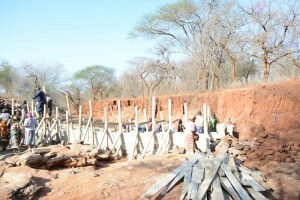 This enabled construction to move along at a good pace. 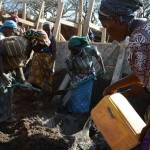 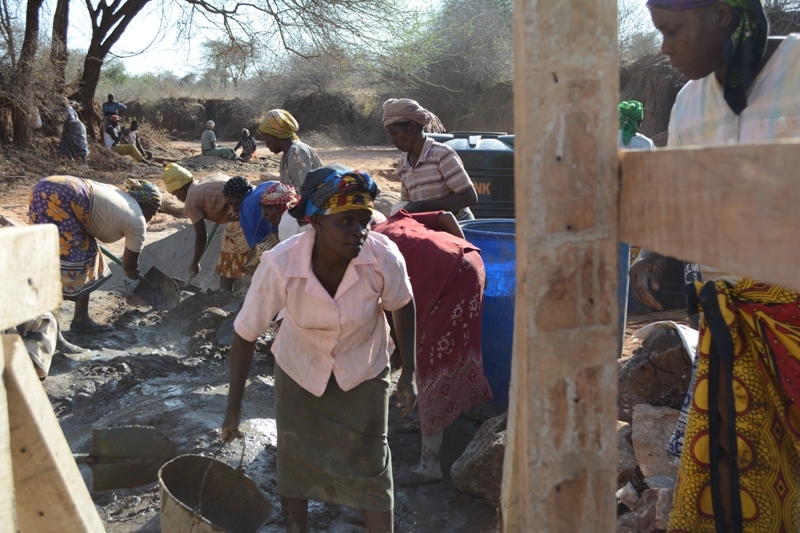 A major challenge faced was the availability of water for mixing cement. the group provided donkeys for carrying water. 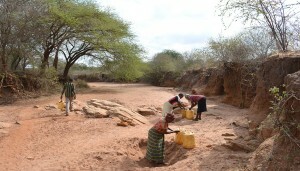 As the teacher strike in Kenya was still going on, many of the children were there and able to help with fetching water. 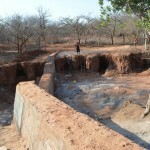 The dam is now complete, but still has to mature. 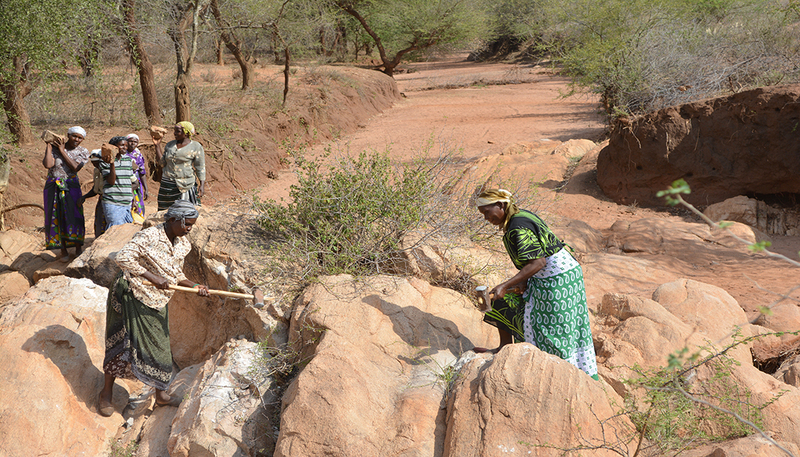 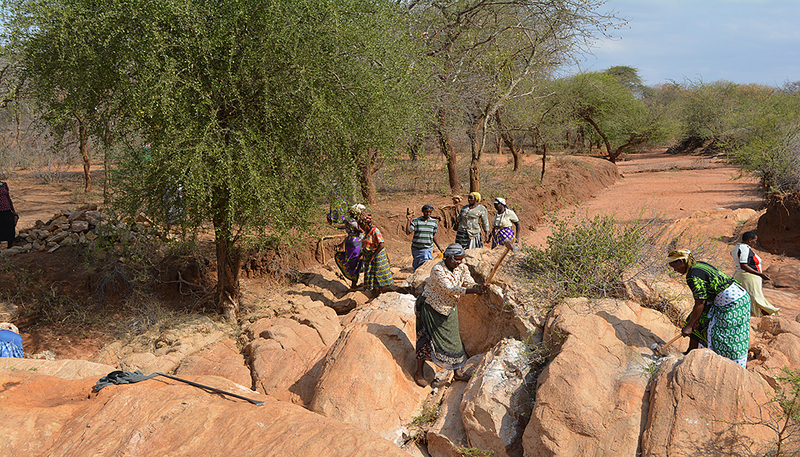 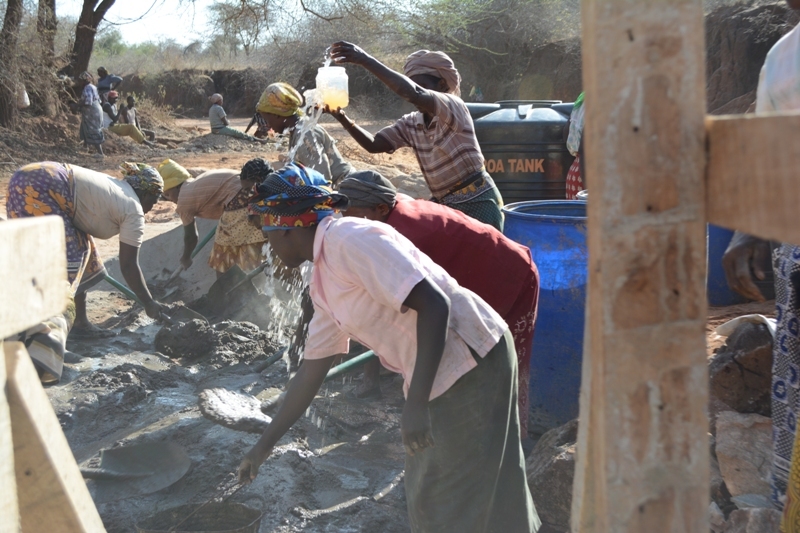 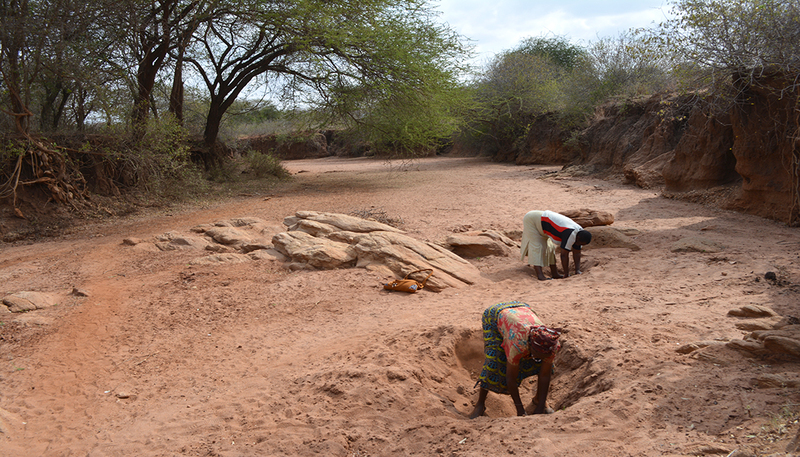 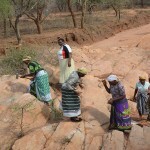 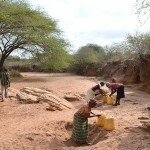 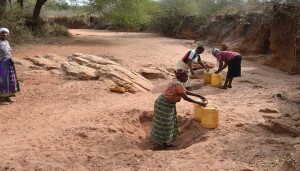 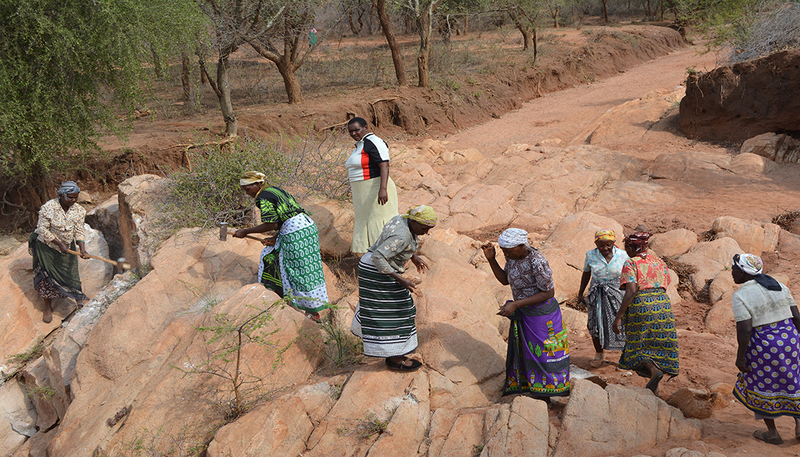 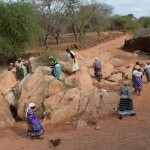 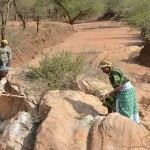 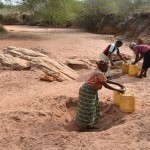 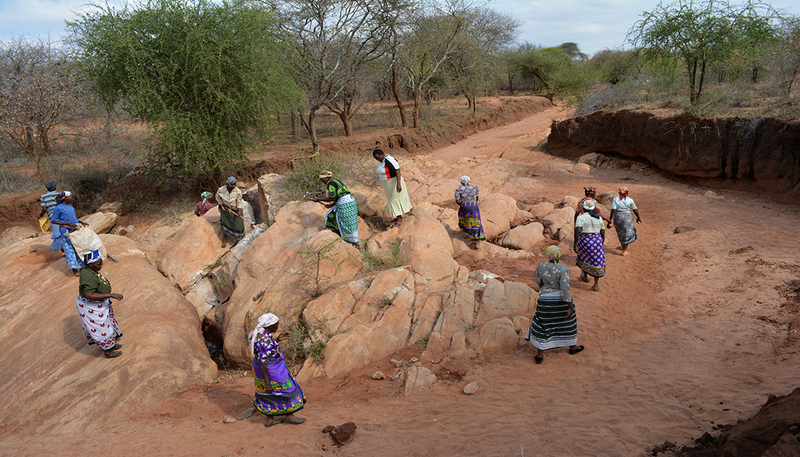 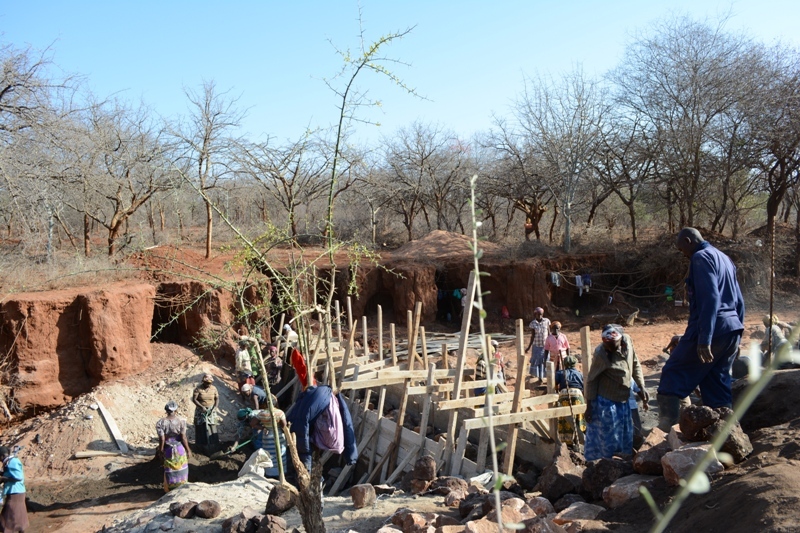 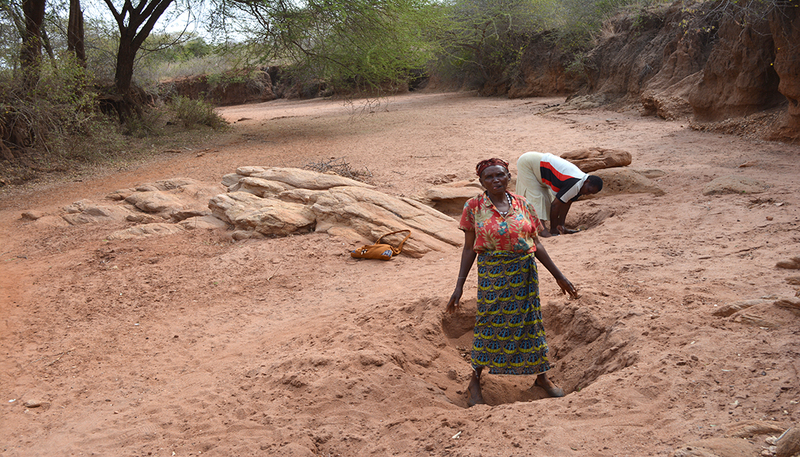 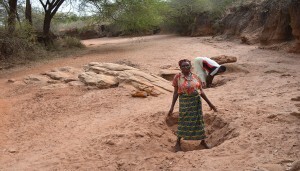 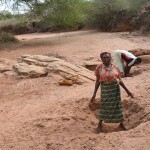 Sand dams work by gathering sand on the up-stream side, washed down by water from rains. The dam matures as the sand collects. 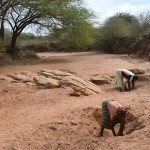 Once mature, this sand acts as a sponge, trapping water that would normally run downstream or be evaporated by the sun. The water trapped in the sand then soaks int the surrounding ground, raising the water table, improving ground water for agriculture, and enabling the use of shallow wells. ASDF will continue to work with this community, training in sanitation and hygiene, teaching improved farming techniques like terracing to preserve soil, and helping with tools and seedlings for the establishment of a tree nursery. 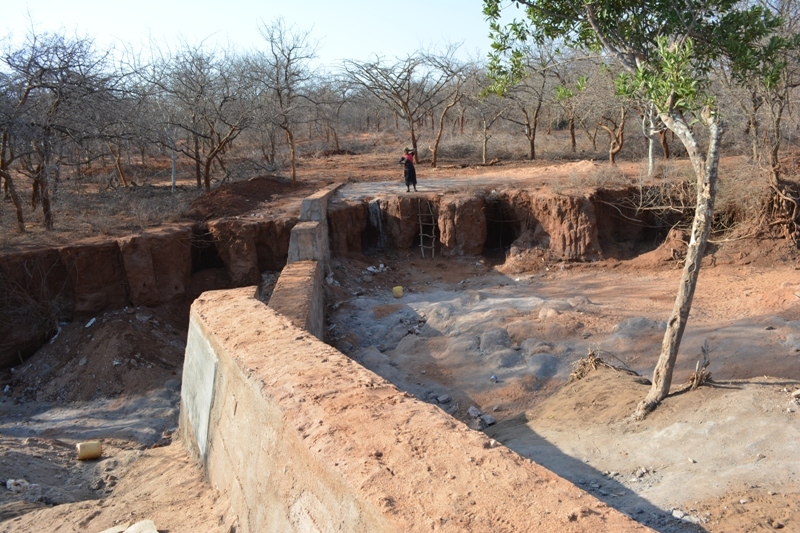 Just a quick note to let you know we just posted some pictures we received from the field, showing the construction of the sand dam. 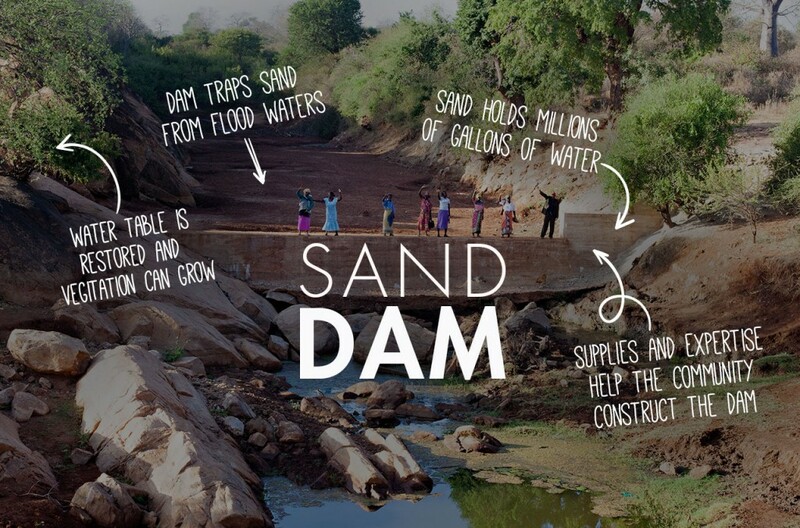 A lot of hard work goes into these projects, but the effect on the region is definitely worth the effort. 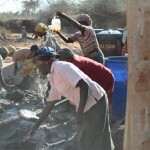 Take a look, and Thank You again for working with us to change lives with clean water! We are excited to report that construction on a sand dam for Kwa Mutunga Self Help Group is now complete. Now the dam begins the process of maturing as sand collects on the upstream side, trapping rain water that would otherwise wash away or be evaporated. 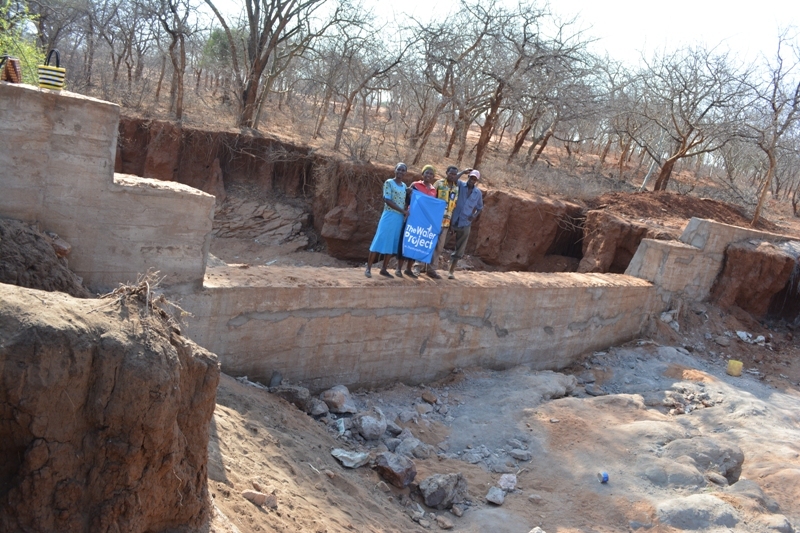 We just added the latest details to the project page, including pictures of the finished dam. 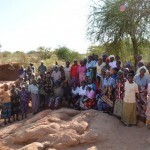 Take a look, and Thank You for helping us unlock potential! 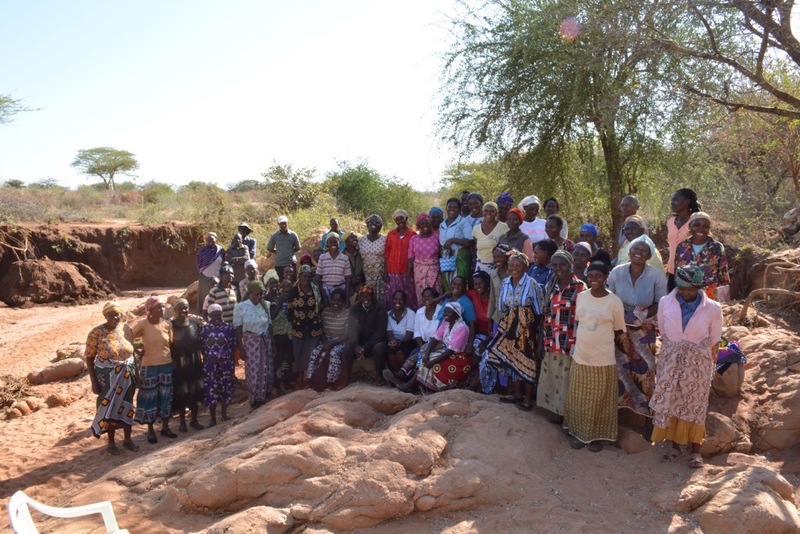 We are excited to announce that, thanks to your willingness to help, construction has begun on a sand dam for Kwa Mutunga Gabion community in Kenya. This dam will have a dramatic affect on the community, raising the water table to allow for improvements in agriculture and the subsequent construction of a shallow hand dug well. 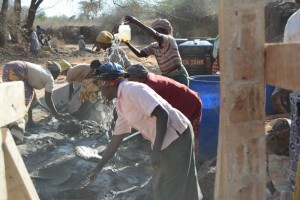 In addition, the community will be trained in sanitation and hygiene, helping to stop the spread of disease in the area. We have posted a report from our partner in the field including information about the community and pictures. 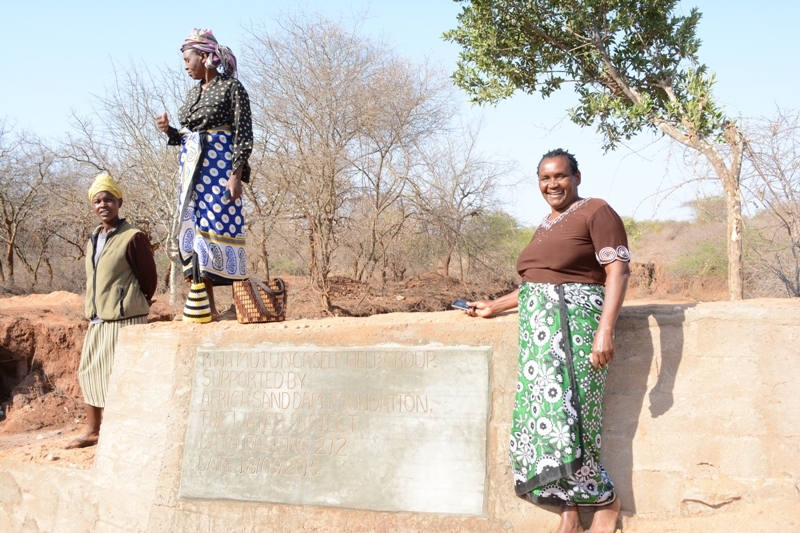 We are still waiting on GPS coordinates and population numbers for this project, but we’ll keep you posted as we learn more.